Meridian Energy, which markets itself as a sustainable “green” power company, has just moved into new offices, which the company says uses 60% less power and 70% less water than comparable buildings. 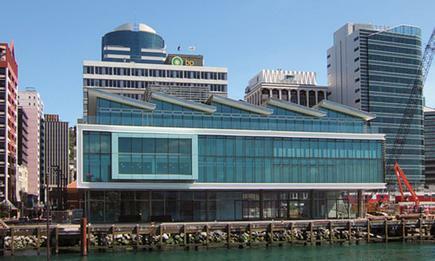 The Kumutoto headquarters on Wellington’s Queens Wharf use what the company calls “Workplace Environment Technologies” and promises to be a showcase for environmental sustainability. Meridian Energy CIO Rob Bolton says his company requires technology to be both energy-efficient and sustainable, both in manufacturing and re-use. The biggest savings came from maximising the use of natural light and warmth, ventilating the building through natural airflow, avoiding the need for energy-hungry air conditioning units. Rainwater is also collected for “grey water purposes” throughout the building. Furthermore, Meridian is migrating to HP C-class blade servers for its server platform, which Bolton says is designed to consume less power and generate less heat than older blade and rack-mounted servers. 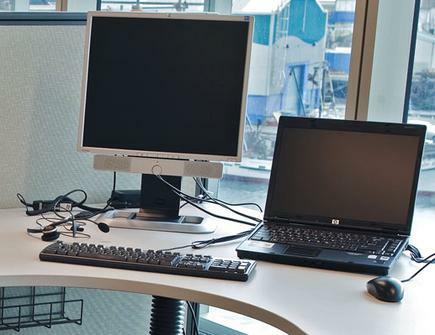 The company has also standardised to HP laptops along with HP flat screen monitors, which again use less power and generate less heat than existing desktops. “The Fuji Xerox multi-function print/scan/copy devices that we have standardised on are more energy efficient and use less consumables than older style photocopiers — and up to 97% of the componentry in these devices are recyclable or reusable,” Bolton says. Central to this is a new IP-based Cisco unified communications platform and PIVoD’s SimPhone audio visual control system which operates on the Cisco platform. Meridian has standardised on Cisco’s Personal Communicator software that runs on the laptop — rather than giving everyone a separate IP phone — to further reduce power use per workstation. “The SimPhonE is integrated with the Building Management System to control environmental devices such as lights and blinds, as well as powering off the meeting room audio-visual equipment when the room is not in use,” Bolton says. SimPhonE uses the Cisco touch-screen IP phone as the user interface for these control functions to make in-room meeting bookings and is also used for audio conferencing. Other technology partners include IBM and ABB as systems integrators for the various systems. ABB will manage support for the communications systems and HP for the technology. Tandberg supplied the videoconferencing equipment and Vodafone the mobile network connectivity. Bolton says most IT equipment today is designed to be more environmentally sustainable, through lower energy use or recycling capability, so there is no premium for green technologies. “The payback for the technology investment is in how we use the technology to be more productive and generate more value. The technologies being deployed at Meridian are designed to make it easier for our people to connect, communicate and collaborate — across all Meridian locations,” he says. Bolton advises IT managers looking at green technology initiatives to see how they integrate with wider corporate sustainability strategies. “It is as much about reducing the number of technology devices deployed and encouraging people to retire older printers, fax machines and other devices that consume power and generate heat,” he says. Meridian already claims green credentials through generating 100% of its energy from renewable sources; plus it has achieved ‘CarbonNZero’ certification through Landcare Research. “Meridian is reducing the amount of printing and copying by already having access to information online through the use of laptops and wireless,” says spokeswoman Claire Shaw.